Evidence from the public sector suggests that sustainable innovation best emerges from decentralized, local systems of knowledge. This has been the experience of WeRobotics and in particular our local Flying Labs: augmenting the capacity of local champions to enable innovative solutions to local humanitarian challenges. The emergence of reliable and affordable drones for rapid remote sensing offers an opportunity to accelerate more informed humanitarian efforts across the disaster cycle. The results of research we conducted demonstrate that drones can play a pivotal role in frequent small and medium-sized emergencies that do not trigger international assistance, yet still overwhelm local responders. To this end, we are launching a Localization Working Group focused specifically on strengthening the capacities of local actors who are seeking to (or already are) using drones for disaster response and other humanitarian efforts in their communities. Who exactly will be doing the strengthening of local capacities? Other local actors first and foremost, and relevant external actors only when it actually makes sense for them to be involved. We’re therefore calling for a coalition of local actors and the international agencies that support them to partner on establishing this Working Group. By local actors we mean local community-based and not-for-profit organizations, local government, local universities and local industry. While individuals are welcome to join without a professional affiliation, this working group is meant for legal entities first and foremost. This list is not comprehensive. We will seek out and encourage agenda setting by the full range of voices engaged in the working group. Naturally, a first order of business will be developing the terms of reference that will inform the governance mechanisms of the working group. These will be based on integrity, transparency, accountability and openness. Participants will be invited to take up leadership positions within the working group. In order to facilitate the greatest diversity of participants, the working group will encourage all interested participants to seek out and enable the inclusion of Southern-based local actors. If you would like to participate please register your support here. The mandate of the Working Group will be to ‘reinforce, not replace’ in-country capacities and systems. The Working Group will do so in an open, consultative, bottom-up approach focused on sustainably localizing drones for disaster response and humanitarian aid through local actors living in at-risk communities. The impact of this work will not only support responses to small and medium-sized emergencies, but will also create networked national and regional capacities in support of larger emergencies. Humanitarian innovation requires an open, collaborative and respectful effort by a diversity of actors. No innovation involving the humanitarian use of drones can succeed—let alone scale—without individuals and organizations committed to the free exchange of information and ideas. Innovation initiatives that exclude others and monopolize discourse, capacity building and decision-making are unlikely to gain much credibility within the broader community. What’s more, localization necessarily means letting go of control, which can be difficult or simply impossible for large humanitarian organizations to do. An open and transparent Localization Working Group will directly communicate the expertise, needs and priorities of local actors, and for this reason it is necessarily complementary to other working groups that seek to develop international, top-down capacities for system-wide, large-scale emergencies. Technology that is not localized is technology not sustainable. Local actors best understand the socio-cultural context of the challenges they face and how to apply new technologies to solve them. Localization is currently the best approach not only because it is a much-needed ethical improvement to the humanitarian system, but also because there is an increasing body of evidence that localization increases impact and improves effectiveness. 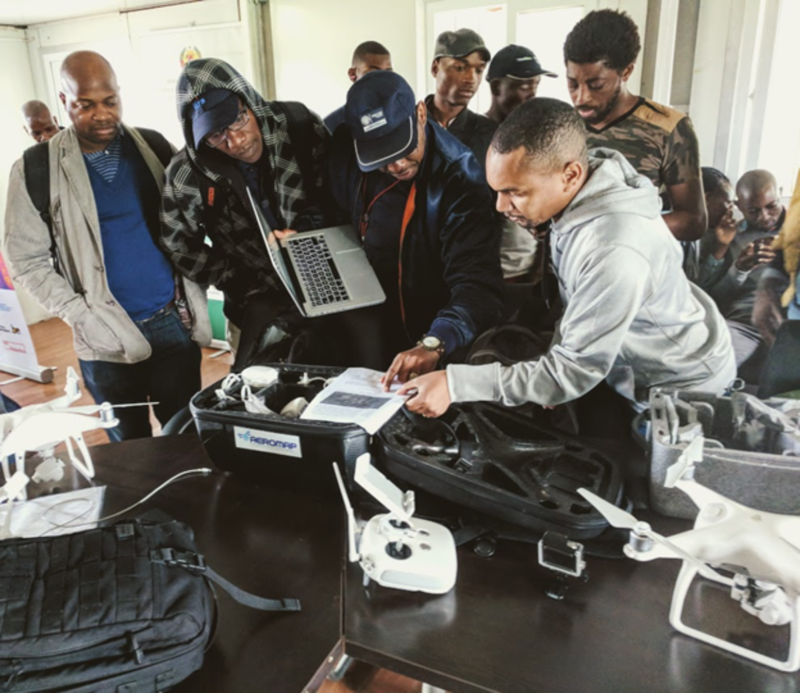 Data has characteristics that make it fit-for-purpose (or not) in disaster response; drones enable local actors to collect and analyze data that is fit for their purpose. These are the seeds of humanitarian innovation. And the time to start is now.